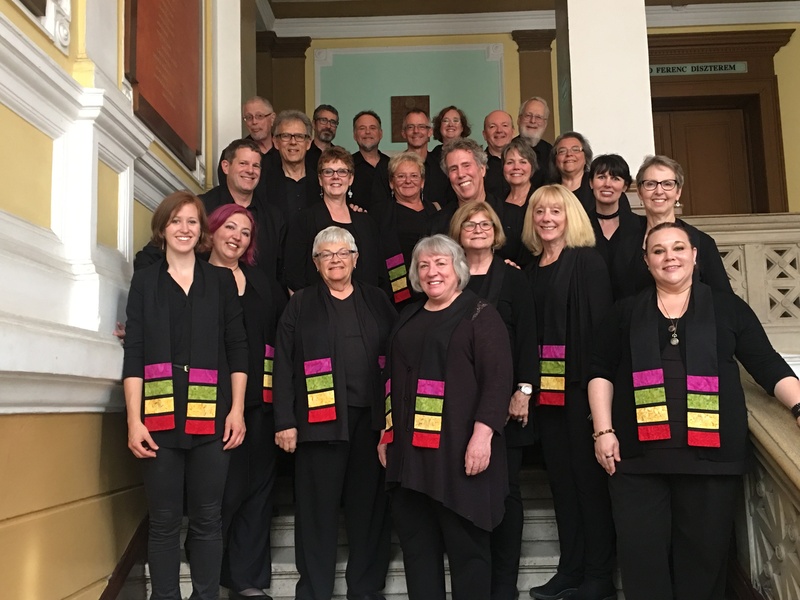 In June 2016, our Choir had the honor and privilege of visiting Romania/Transylvania to explore and experience the historic roots of Unitarianism. This pilgrimage allowed us to foster a new understanding of our Unitarian history and build deeper relationships with each other and our fellow Unitarians overseas. We performed our one-hour concert at four different Unitarian Churches and also experienced amazing points of interest, such as, Bran Castle, the Black Church and the Frescoed Church in Szekelyderzs, the only Unitarian UNESCO World Heritage site. The pilgrimage was coordinated by the Unitarian Universalist Partner Church Council, which has more than a decade of experience facilitating the visits of North American UU’s to Eastern & Central Europe. Please take a few minutes to watch our video created by members of the Choir and Harold Rail of Afterglow Creative Services. To learn more about our music programs here at Tree of Life and the exciting things we are up to now visit our music page. If you are interested in how you can connect with Unitarians around the world, visit uupcc.org .